Intriguing and exotic, Kevin Ansbro’s novel explores how our actions can come back to haunt us in the most unexpected ways. 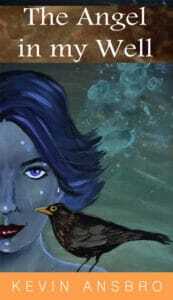 I just finished reading Kinnara. Such a brilliant and enjoyable adventure! You know so much about Thailand, have you lived there? You character, Sawat, is so real, did you know someone like him? Kevin – My wife and I are fortunate to have visited Thailand more than twenty-five times: we love the people/the culture/the overall vibe, and we speak a lot of Thai. Sawat, like many Thais, has an unassailable positivity, despite having to eke out a living in difficult circumstances. He seems to be everyone’s favourite character and is based on a friend of mine, whose winning smile would light up any room. 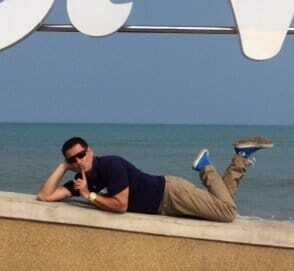 As for your portrayal of the tsunami that hit Thailand, were you there during that tragic and horrendous event? Kevin – I wasn’t in Thailand at the time of the tsunami (we were there a couple of months prior), but waking up on Boxing Day in 2004 to those alarming scenes is something I shall never forget. I was immediately on the phone to friends whom I knew to be in the areas affected. One actually had to cling to a coconut tree while the spiteful torrent surged through, giving me the idea to write that frightening event into the book. I love your use of the Swan People (Buddhist god, Klahan) and Buddhist mythology in your book. How did that originate and develop? Kevin – Whenever I’m ferried into Bangkok’s Suvarnabhumi Airport in a taxi, I always marvel at the bronze statues of mythical creatures that line the route into the terminal. These statues depict the half-bird, half-human Kinnaree, much-loved in Thai folklore. And it was there that the nucleus of an idea began. By the time I’d paid the cab fare I was already planning a storyline that would involve these celestial beings. The male of the Kinnaree are known as the Kinnara, hence the title of my novel, which is essentially a teeth-rattling thriller wrapped in a burrito of magical realism. I really enjoy your writing. It’s clear, smooth and flows. I’m curious about the German serial-killer connection in Kinnara. It seems to stand out so much from the rest of the story. May I ask how you came up with that? Kevin – Why, thank you, Ingrid. 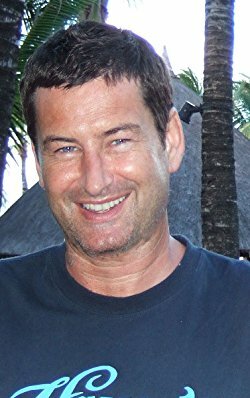 The German serial killer connection was dreamt up to give the book an international flavour, my inspiration coming from a lifelong love of Bond movies! You also wrote a short story entitled, The Angel in my Well. I’m curious where it came from. It is so different from Kinnara, and yet, I can see the underlying magical realism from the description you posted on your website. Kevin – The Angel in my Well blossomed rather unexpectedly in the darkest of hours. It was heart-breaking to watch and at that moment I thought how wonderful it would be to have my mum come back to me again, as the scintillating young woman I remembered as a little boy – even if it was just for one day. And so, there and then, the nucleus of a book idea was borne. As with Kinnara, the story is set in our real world, but with something otherworldly happening in that world. My mum died not knowing she’d inadvertently inspired me to become an author, a silver lining to a very dark cloud. Thank you, Kevin, for sharing. I’m sorry for your loss. The Angel in my Well sounds like a wonderful tribute to your mother. I look forward to reading it. Now, Kevin, please tell us all about your next project. Kevin – Although I’m a full-time writer, it has taken me three years to write my current novel. It’s complete, my best yet (I think), and I’ve only just begun to send submissions off to literary agents. It’s titled The Fish that Climbed a Tree (a metaphor for a Homeric, near-impossible, odyssey within its pages). And, again, there is an alchemy of reality and otherworldliness to my novel but it reveals, within its beating heart, a spiteful, teeth-rattling thriller that is in no way formulaic or prosaic (my style veers more towards the rich and linguistically playful). I do want to add another question, I was actually referring the family question to your wife, Julie. Any correlation between Hannah and Calum and Kevin and Julie? Aside from the karate and kickboxing of course, btw, I’m totally impressed! So, all the traveling…because of tournaments? Kevin – There isn’t a correlation between Hannah and Julie, though I channeled some of my wife’s wisecracks, swordplay and reactions into Hannah’s dialogue. Julie is also the first person I turn to for an honest, unvarnished appraisal of my work. When I was a kickboxer, the only travelling I did was around Britain. I have trained in Muay Thai (Thai kickboxing) while in Thailand though. Don’t let looks deceive you; those guys are hard as nails! Kevin, one of the things I admire about you is your encouragement and support of other writers. With that in mind, what advice would you give to new writers? Kevin – Thank you! and I’m so pleased you asked this! I spot a great deal of uninformed guidance on social media: people suggesting that the way to get better at writing is simply to carry on writing. What utter nonsense! You wouldn’t employ an untrained person to run a restaurant kitchen on their own and say to them, “There’s the fridge; the pots, pans, knives are over there. Away you go!” Yeah, they’ll probably muddle through and improve, but will never attain the skills needed to become a great chef. So, my best piece of advice is to read, read, READ. And don’t just read any old piece of pap. Peruse the classics; learn from the gods of literature. Find out about literary devices and how to construct a narrative arc; understand what it means to ‘show and not tell’. And please, please accept constructive criticism as if you were Gollum being offered the Ring. Trust me, you need candid advice more than you need cheerleaders! It’s true that all writing has value, but aspire to be the Michelin-starred chef, not the short order cook. Ingrid, thank you so much for inviting me in for this groovy interview. It’s been an absolute pleasure! I know that you are also eminently passionate about your work and I’d like to wish you every success for the future! 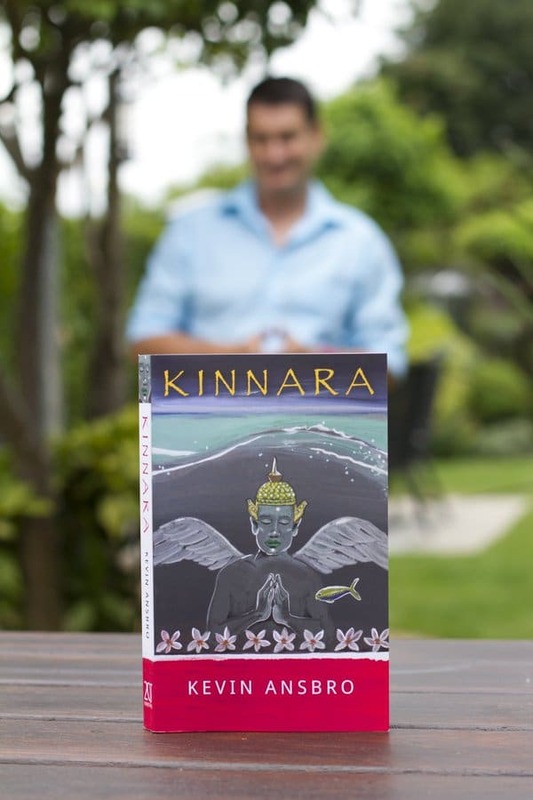 Thank you so much, Kevin Ansbro, for the interview, your thoughtful words, and for your amazing book, Kinnara. I look forward to reading The Angel in my Well and The Fish that Climbed a Tree. Interview with the Incomparable Laney Smith!